I called into a health conference to make a contribution and once I was struck by the extent to which the two areas – health and education – were similar in all but two respects. They are both similarly based on a fundamental value of service to people, we both do what we do because someone else has a need and when that need is met we leave the world a better place, well at least for them. Both our groups work in teams, each health or education professional is necessary to the process but never in themselves sufficient. Managing this relationship between the members of the team and recognising the value of what each contributes to the team’s mission and to its outputs is the mark of a professional. But the success of our contribution also requires us to act with high levels of autonomy. Health and education call for practitioners who are committed to reflective practice. Being able to reflect on what is happening or has happened and to adjust practice to take account of that reflection requires high level understanding of a number of things – the needs of others, the appropriate range of interventions to take, the signs of progress (or lack of progress perhaps), the willingness to consider the contribution made to the work of the team, an awareness of the strengths and limitations of oneself and so on. A further clear similarity is the institutional nature of the place in which the arts of healing and teaching are practiced – hierarchical, predominantly public service in origins, current focus on managerialism, and so on. Being big ticket budget items for any government, they are also very political. Finally there is the impact of the success of what is done – both affect lives. In health unsuccessful interventions could result in death or prolonged suffering. Issues in education, while not life threatening in the dramatic sense, are at least critical to the quality of life, the capacity to earn and the ability to provide for others. Both are central to happiness and peace in our lives. But there are two critical differences – response to research and the uptake of technology. Medicine is essentially highly responsive to research and indeed is research driven. New techniques of treatment, new drugs and their use and new regimes for recovery come directly from research to shape new practices among health professionals. Those working at the patient or community front are well-informed by research and are diligent about their continuing professional development. On the other hand, education is sluggish in its response to research. The vast industry of educational research has always found it hard to make connection with and to inform classroom teaching – we continue practices long past the point when we know that they are not working, that there are better ways of working. I speculate that the big difference has two explanations. The first might be that health researchers work more closely with those who practice whereas in education the gap between research and practice seems never to close. The second might be more critical. The health sector is largely self-monitoring. It disciplines its members who transgress, it admits into membership those who meet criteria of both qualifications and competence and they lead the public discussion. The government health agencies don’t control the participants but are left to manage the delivery vehicles – hospitals, Pharmac and so on. By comparison education, the school sector especially, is centrally controlled and managed with less devolution to the professionals in the schools than might be suggested by the model of governance that we use. Tertiary institutions are closer to the health model. A self-monitoring and self-managing sector is much more likely to also accept the additional responses of continued development professionally. And lastly, there is the matter of the uptake of technology. Both at the conference I attended and whenever I visit someone in hospital I am amazed at the uptake of technology and the specialist and advanced applications of it to the practice of administering and delivering health interventions. Hospitals are changed places in appearances, applications of technology and subsequently practice. By contrast, schools are very much slower to change and new technologies find a place largely to replicate and reflect old pedagogies. Compare, for instance the way in which technologies allow for asynchronous teaching delivered flexibly over distance with the requirement that the greater part of instruction in schools and institutions takes place with designated groups who must assemble in a particular room at a certain time who must progress through a programme in a lockstep manner! This might be a result of having to work with groups. I enjoyed my day amongst the neonatal nurses at their conference – we don’t spend enough time with other professions. Just seconds after the referee blew full time in the final of the Rugby World Cup, television showed a brief glimpse of the engraver setting to work on putting the name of the winning team on the William Webb Ellis Trophy – “2011 New Zealand”. He didn’t engrave “New Zealand (just)” or “New Zealand (by the skin of their teeth)”. Winning or losing this game of Rugby was a binary matter. Regardless of the winning margin, the team on top was the winner. There is a long tradition of this binary distinction in education as most awards were either “passed” or “failed”. The size of the winning margin seemed less important than simply passing. Those of us who squeaked through School Certificate back in the pass/fail days were happy with the arrangement. Unknown to us there were of course plenty of people to whom the size of the margin mattered but those were the ones for whom winning in terms of pass/fail was less important than beating others. Of course there was a downside to this binary business and many a young student had the course of their careers and possibly even lives changed by the odd mark or two assigned by an anonymous examiner. That changed in the mid-1970s when students were given the right to request that they get their marked examination scripts back. This made explicit the odd mistake in marking and, more importantly, brought out into the open the whole business of scaling of results according to a “hierarchy of means” based on a hierarchy of subjects. This is also reflected in the Rugby World Cup where some teams have to play every 4 or so days while others have longer breaks. It is of course simply a hierarchy of countries based on the seeding process. But unlike other sports that apply a seeding, to base more favourable conditions on those in the top group is a tough ask. In tennis all the seeds play with about the same frequency. Sport is after all meant to be a level playing field as they say. A less satisfactory sequel coming from the pass/fail mentality of previous examination systems has been the carrying into new ways of working, those old attitudes. 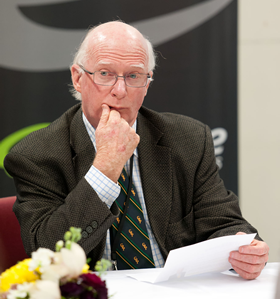 New Zealand has in its NCEA school leaving examinations a credit based system in which students accumulate credits at three different levels and with three kinds of award (credit, merit and excellence – the old hierarchical habits linger on). It is less than helpful to have young people believing that they have “passed” Level 1 or Level 2 when in fact what they have done is to break through the minimum total of credits required to be awarded recognition at that level. The best students should simply power on to higher and better things. Worse is the habit of credit harvesting that sees students fixated on the minimum total and without pattern or purpose gathering credits from wherever they can. This leads to sets of “achievement” that lack coherence and integrity and which forms a shaky basis on which to plan for further study. But never mind, they passed! Of course it takes a long time for myths to be replaced. The old pass/fail system suggested that there were standards, golden standards set for all time. There never was. There was simply a set of mathematical sleight-of-hand procedures that established how many passed. To think again about the “fails”. I wonder if a trophy like that of the Rugby World Cup should also record the runners-up and the score which might have appeal to some educators who are sometimes shy of a harsh truth. Or perhaps to take a lesson from education where a group of invigilators could meet at the end of the final and announce which was the better team – there’s a novel idea! Let’s stick with the pass/fail, forget the margins, forget the quality of the play. We scored one more point and we are World Champions. And just like my School Certificate from 50 years ago, who is going to care about the score! The use of choirs brought together and trained by the New Zealand Choral Federation has been one of the best features of the Rugby World Cup. It has brought a touch of class to that part of the introductions to a test match that are usually without class, musically less than primitive and nothing short of a disgrace. National Anthems and Songs are not any old tunes. They have a history, they carry huge symbolism and are used generally in a formal manner. They are solemn events that formally recognise the sovereign nature of a country. To roll out minor pop figures to sing an approximation of these wonder tunes and to gargle their way through what they would claim to be an a cappella version of them is to inflict insult on the country in addition to the embarrassment felt by many listeners. And to support these anthems and songs with the full richness of the NZ Symphony Orchestra is just so much better than what we have had before. What a joy some of those anthems and songs were – first prize to the Argentineans for an anthem that had an instrumental opening that was of symphonic proportions. During the period of the Rugby World Cup I attended another event that was also a choral feast. But first the story. Aorere College in Southern Auckland has a long history of excellence on choral music largely under the direction of Terence Maskell. The choirs were, through the 1990s, arguably and consistently right up in the top echelon of school choirs in New Zealand. And frequently inarguably at the top. But there were few opportunities for students to continue their signing once they had left school. There had been talk about this but nothing eventuated. Students who had toured widely, sung before all kinds of audiences and many prestigious community and political leaders and developed exceptional skill in choral music were left with few options for continuing. The Graduate Choir NZ was established to provide just that avenue. It was intended for young singers who had graduated from their school or community choir and could not continue their journey toward choral excellence. The event was the 10th Anniversary Concert of the Graduate Choir NZ which was a concert of the highest quality music that we have come to expect and get from this choir. A feature of the concert was the premiere of a new Christopher Marshall composition based on capturing a sequence of aural snapshots of Samoan life and culture written for a double 5-part choir and sung entirely in Samoan. Christopher Marshall has been a pioneer in bringing together the traditions of choral music and those of Samoan culture. This was another wonderful addition to that oeuvre. Schools are launching-pads for so much that is good – cultural skills, high level music ability, sporting excellence. The grounding that young people get in school is often the trigger for a career or at least a lifetime of enjoyment. Starting young people’s contacts with serious music, with organised sport with other cultural activity is at least as long-lasting and influential in a young person’s life as reading, writing and all that stuff. It is no substitute for those basic skills and indeed real excellence in anything will require those skills to be firmly in place. But to inspire young people we have to put the best in front of them. That is why I got excited at the choirs and the world cup. Wonderful renditions rather than the mangling of theses national anthems and songs by pop “wannabes”. I think it something of a pity that the organisers didn’t quite have enough courage to have continued to use only the choirs right up to the end but at least the soloists who eclipsed the choirs in the last stages were generally worthy. But excellence it most surely has been. Pathway-ED: Have we been here before? It is axiomatic in education that you can’t make changes unless you know what it is that you want, just where you want it to end. It puzzles me therefore that we simply continue to do what we have always done despite getting the same results. In other words, long past the point of knowing where we will end. Perhaps the issue is that good ideas for change rely not just on the quality of the ideas but also on the setting into which they are placed. This produces a situation in which we do go around in circles and like a bus load of tourists being driven past yet another cathedral or another monument, we close our eyes and have a snooze. Take the importance of language in education for instance. It was in 1928 that George Sampson said in a dissenting opinion to a Royal Commission on Education in England that “every teacher is a teacher of English because every teacher is a teacher in English.” Forty years later, after yet another report from a Commission of Inquiry in England called A Language for Life (The Bullock Report), the idea resurfaced as “language across the curriculum.” The bus of sleeping tourists drove past yet another basilica. Finally in the early part of this century a huge focus settled on literacy. The bus of tourists had woken up and realised the importance of language in education. All over the show literacy was being embedded, new kinds of literacy were invented, it is the fashion of the moment and so it should be. But why did we miss earlier opportunities for action in this regard? Despite the ideas being of good quality the setting was wrong. The need for addressing language was not yet sufficiently obvious for us to agree that action was appropriate. The same thing has happened with the notion of a more porous interface between secondary and tertiary education. At last New Zealand and to a lesser degree Australia is exploring initiatives that blur the distinction between secondary and tertiary education, a distinction that has become a clear barrier to many students who simply do make the crossing. It is now obvious that change is needed. But that is not to say that the calls for change have not been ignored in the past. Back in 1986, a conference paper for the NZ Post Primary Teachers Association had in it a set of propositions written by Phil Capper which argued that the hard edge between secondary and tertiary education was unnecessary. He further argued that secondary schools needed to be working alongside other education and training providers and drew attention to the fact that the traditional work of the secondary school was being challenged. Secondary schools, he concluded, needed to change or face the consequences. Some seven years later in an official NZ Ministry of Education policy paper, Education for the 21st Century, a view of the future was put forward. In that future students would be able to undertake education and training in more than one setting at the same time and they would be able to combine regular school courses with tertiary courses and workplace training with local industries. This would require agreements between institutions. And just as tertiary institutions would be teaching students that convention said were secondary students, schools would be able to offer polytechnic courses. Eighteen years later all of this is starting to be given expression. The pattern of circling past a good idea several times before it gets purchase is repeated. The cynical would say that things have to reach something of a crisis point before people wake up and start looking for the good idea. A more charitable view would argue that there is some truth in the proposition that there is a right time for an idea when a complex combination of factors provide a setting which demands change. That last line is important. It is not that the issue is new, what is new is that we have become aware of it. It is only by frank and truthful assessment of what is happening that a setting becomes conducive to change. I recently wrote about the loose use of the term “drop out” to describe those few who leave college / university not through the bottom but out through the top because their aspirations take them more quickly to a higher and more sophisticated place. Such people are “step ups” not “drop outs”. A shared characteristic of these people is not that they are failing in education – the key qualification for real drop outs – but that they possess knowledge and skills that quickly make evident to them the irrelevance of what they are doing in college / university. I used Bill Gates as an example. The death this week of Steve Jobs brought these ideas to the fore again as commentators freely tossed around descriptions of Jobs as a “college drop out.” I think he was another of these “step ups” with ambitions that went far ahead of college pathways and much more quickly. In the much quoted Stanford speech he explains his reason to stop attending classes as one of recognising the cost to his family of attending college. I naively chose a college that was almost as expensive as Stanford, and all of my working-class parents’ savings were being spent on my college tuition. After six months, I couldn’t see the value in it. I had no idea what I wanted to do with my life and no idea how college was going to help me figure it out. And here I was spending all of the money my parents had saved their entire life. So I decided to drop out and trust that it would all work out OK. It was pretty scary at the time, but looking back it was one of the best decisions I ever made. The minute I dropped out I could stop taking the required classes that didn’t interest me, and begin dropping in on the ones that looked interesting. It is interesting to note that although he himself describes his actions as “dropping out” he immediately notes that it wasn’t to get away from college but to do the things he really wanted to do so perhaps he “dropped out” in the Timothy O’Leary sense, the assertion of personal wish over the power of conventional expectations. I would bet that he was confident that all would “work out OK” when he made the decision. And we note that he continued to hang around Reed and go to classes of choice for some time after making his decision. He in fact describes himself at that point as a “drop in”. Another that I saw recently described as a “drop out” was Mark Zuckerman the founder of Facebook. Of course those who apply this to the likes of Gates, Jobs and Zuckerman conveniently ignore that fact that they each qualified for entry into the most prestigious institutions in the US (Harvard, Reed) and that they had been to prestigious preparatory schools prior to this. It is a further and perverse reflection of our belief that there is only one pathway for people to follow – elementary school, high school, university – if they are to be successful in life. These genius figures just don’t fit the norms which are what marks them as genius. Gates had outstanding knowledge of computers prior to completing his primary education, Zuckerman was described as arriving at Harvard with “a reputation as a programming prodigy,” Jobs attended schools in Cupertino where he was later to set up Apple’s Headquarters and while still at school attended after-school lectures at the Hewlett-Packard Company in Palo Alto, California, and subsequently was hired there for the summer. This fellow was no slouch when it came to computers as a result of his growing up in Silicon Valley. So why would we expect young people with such extraordinary and precocious knowledge to simply fit into the normal track? Who might we have in New Zealand that fit this “step up” category? Who are the Australian “step ups”? In New Zealand, Sam Morgan built up and subsequently sold TradeMe (an eBay style site) making him a likely contender, stepping up from university to get on with the things that fired his imagination and for which he had the knowledge and skills. Why continue to move at the pace of those who haven’t? Daniel Robertson left his engineering course to set up Fishpond.com (an internet based shop in the style of Amazon), selling books, music and suchlike. It has grown to impressive proportions both in New Zealand and in its Australian version across the Tasman. There must be many others – Peter Jackson left school at 16 and started working to his passion for making films comes to mind. None of these people can be described as “drop outs”. For from it all are educated well past the point that characterises real drop outs and each shares the characteristic of reaching a point where it was clear to them that the conventional track through and out of education systems was not going to meet their goals and aspirations. No they are different and it is well captured in The Apple Creed written up on the wall of Apple Headquarters in Cupertino (address is No 1 Infinite Loop), well it was when I visited in 2000. Here’s to the crazy ones. The misfits. The rebels. The troublemakers. The round pegs in the square holes. The ones who see things differently. They are not fond of rules. And they have no respect for the status quo. You can praise them, disagree with them, quote them, disbelieve them, glorify or vilify them. And the only thing you can’t do is ignore them. Because they change things. They invent. They imagine. They heal. They explore. They create. They inspire. They push the human race forward. Maybe they have to be crazy. How else can you stare at an empty canvas and see a work of art? Or sit in silence and hear a song that’s never been written? Or gaze at a red planet and see a laboratory on wheels? We make tools for these kinds of people. While some see them as the crazy ones, we see genius. Because the people who are crazy enough to think they can change the world, are the ones who do. Teachers in schools are trained, registered and paid to attend to student achievement. Principals, middle managers and anyone with responsibility in a school is expected to know a little more about student achievement than those without it. School Boards have a responsibility to oversee student achievement in the school. In addition to this there is a plethora of assistance available to schools by professional development, tertiary education specialists, private consultants and suchlike – that can provide further assistance and add to this focus on student achievement in schools. And yet we learn that 30 “Student Achievement Practitioners” have been appointed at salaries in excess of $100,000 to provide advice assurance to schools. The question has to be asked – why is this necessary when we have Principals, middle managers and trained and qualified teachers all of whom can be expected to have specialist knowledge in and of – guess what? – student achievement? Well the answer to that is clear. We have a problem with student achievement in this country. Students are not achieving to satisfactory levels in sufficient numbers. Why? Lets discard the popular opinion loved by those who call talkback radio that teachers are incompetent. There is not a shred of evidence that this is true. The same systems of teacher preparation, professional development, leadership and delivery that produce this worrying level of student failure also produces the best students in the world. Lets also put to one side any suggestion that principals do not know what they are doing. There are issues of balancing the demands of being an administrative, professional and instructional leader and it is likely that there will be some struggle to be effective in all three to the same degree. But there are many opportunities for principals to get support should they need it. There are even I believe a group of “Senior Advisors” available to schools to support the principal and board. I am left concluding that the issue with student achievement in New Zealand boils down to one thing – too many schools and too many teachers encouraged by too many principals are simply doing the wrong thing. They are working with diligence, flair and competence but they are not hitting the target. If ever the statement “less is more” had meaning it is surely when it is applied to schooling. The demands made on schools is simply to do too much about too many things. There once was an expectation that schools had done their job when a relatively restricted range of objectives had been met. Prime among these were at primary school the foundation skills of reading and writing and mathematics now perhaps usefully called literacy and numeracy. Where schools fail to bring students up to good and agreed standards in these areas they have failed regardless of whatever else they do. Developing in students a sense of their history and their culture is also useful. Above all, exciting young people about learning and also doing these things – literacy, numeracy and a sense of who they are – is the hallmark of a good school where the talents and training of teachers is being directed towards positive outcome. At the secondary school the single most important purpose is to build on these basic skills and prepare them for whatever is to follow – university, trades, employment, citizenship and so on. Sports and other activity such as school balls are nice to have, but never have in themselves a sufficient goal of schooling. At a UC Berkeley football match I went to a couple of years ago they had a parade of the university’s sports teams. Mid-parade the stadium announcer solemnly advised the 80,000 people present that “no sports person is parading tonight who has not maintained an academic grade point average of 3.5.” In other words, make no mistake about it, learning comes first. How do we reconcile the brilliant annual Polyfest in Auckland each year with its outstanding display of Maori and Pasifika performance with the grim statistics of Maori and Pasifika educational attainment in those very same schools? If ever there was need for a group with the grunt of a Royal Commission or a Review it is now. We have to get back to making effective use of the skills of our teachers before we are overwhelmed by the issues of achievement. We need to reinvent the primary school and the secondary school and give fresh primacy to learning in every classroom. Without fundamental and widespread change, Student Achievement Practitioners will be just one more attempt. Imagine the concept being translated into the health sector. Patient Healing Practitioners would be a notion that would struggle to get traction. Talk-ED: Who needs to grow up? It seems a slight reach and is perhaps a bit removed from the actual study, but I was amused and surprised at a piece in The Australian last week that claimed that the increased interest in proceeding to postsecondary education and training was prolonging the transition into adulthood. It seems that those who interpret the report believe that getting into the labour market is the marker of adulthood. This equation of lengthening pathways from school into the workforce with reaching adulthood seems to me to be quaint, misguided and in defiance of the evidence. It is quaint because there has never been an association between work and adulthood although adulthood is generally more characterised by work rather than being at school. But if we are to say that the full flowering of adulthood requires a spot in the labour force we run a danger of disregarding the large proportions of young people in both Australia and New Zealand who never complete their secondary schooling let alone get into the business of postsecondary education and training nor ever get into the workforce. To all the pressures that are placed on this group we now seemingly are going to add prolonged-childhood. Well, it is a pretty bizarre view of the actualities of the lives led by these disengagers – it is not one of blissful innocence spent in some enchanted garden. Rather it is too often a harsh and brutal existence fought out in the toughest and most unforgiving adult environments – tough living conditions, crime, drugs, abuse and so on. It is also a bizarre view of many postsecondary students! It is misguided because it fails to recognise the wasted potential of both groups, the disengaged and the engaged. If young people are to be sent into some zone of immaturity and therefore not seen for the potential contribution they could make, we simply add to the social and economic problems that already cluster around them. It defies the evidence – the actual lives of young people of many kinds live (see above), the responsibilities they have (many disengagers are young parents with responsibilities that are greatly in advance of those who are allegedly prolonging their childhood at university) and these disengaged students are almost certainly required to show personal skills of self-sufficiency, toughness and resilience that might well eclipse the skills-sets required to remain in education and training. Furthermore, the evidence suggests that young people are maturing more quickly and are continuing the secular trend that has characterised the development of young people for several centuries. What this report of the report is saying is that we see prolonging education and training as prolonging the childhood / adolescent status of young people and this is possibly important to how we develop justifications of the ways in which we treat young adults in educational settings. As a secondary school principal once upon a time, it was a case of trying to identify increased ways in which the adulthood of the student can be nourished and respected and reflected in what we did. Perhaps there is even a need for us to see young people as non-adults in order to justify our treating them as non-adults. The attempt to put young adults of 18 and 19 years of age into a uniform is paralleled only in the armed services of most countries. The lack of freedoms to be at school when they need to be there and to make good use of their time when they are not lags well beyond that realities of young peoples’ maturity. There was recently a suggestion by one commentator in the USA that there was emerging a fifth stage in young peoples’ lives – infanthood, childhood and adolescence was then followed by a clear post-adolescence that was a precursor to adulthood. Well, this tells us more about the adults and the commentators than it tells us about the young people. Adolescence is in some respects is a middle class indulgence invented in the USA in the post-Second World War era. Now those adolescents are parents and in the USA there is the emergence of the hover-parent, the parent who just can’t let go. When I spent some time at UC Berkeley is was obvious that even though the students had left home to go to college the home was dead intent on following them. This then might be behind the reading of the Longitudinal Survey of Australian Youth briefing paper that The Australian made of it. It just doesn’t make sense. Who needs to grow up?